The yoke type track roller bearing units on the Virgin Train Pendolino tilt mechanism are being refurbished to maintain reliability and performance on the West Coast main line. Precision bearing manufacturer Schaeffler is currently refurbishing thousands of yoke type track roller bearings for Alstom, the company responsible for maintaining the entire West Coast Mainline fleet of 56 high-speed Virgin Pendolino trains. The 60-week programme involves the refurbishment of nearly 5,000 track rollers. The yoke type track roller, which was custom designed by Schaeffler in the early 1990s specifically for use on the Pendolino train, is part of a yoke type track roller unit that is used on the coach body tilting system. In conjunction with the rails, the yoke type track roller units act as a roller-supported cradle system, which allows the coach body to tilt into bends in the track in such a way that the direction of the coach body axis matches the resulting acceleration. 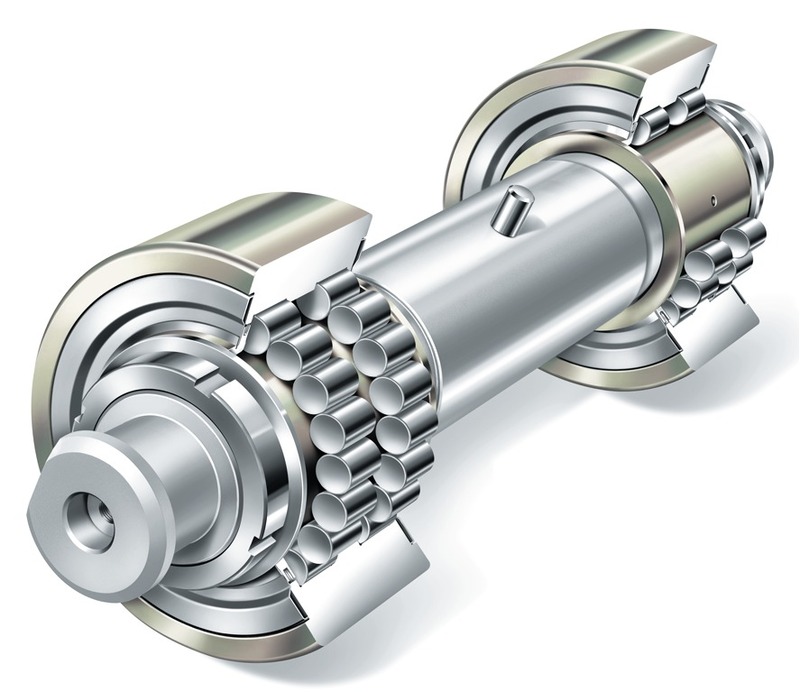 The yoke type track roller unit complete or “Tilt Roller Bearing” comprises two bearing assemblies, a bespoke split core resilient bushes and a two-part tilt roller housing. The built-up assembly is bolted to the bogie frame – two per bogie – these provide the base dynamic stability for the profiled and hardened “tilting shapes” to travel over when the train is operating in tilting mode. Without the robust and reliable tilt roller yoke bearings, the key tilting capability of the class 390 Pendolino would not be able to operate. The yoke bearings are very reliable units and have performed consistently between overhauls. In March 2015, Alstom began overhauling the entire fleet of 56 Pendolino trains at Longsight. A critical part of this overhaul is the refurbishment of the yoke type track rollers by Schaeffler. The 60-week programme involves the overhaul of a trainset worth of bogies per week (22 for an 11 car set and 18 for a nine car set). Each bogie is fitted with four yoke type track rollers per bogie, which means that every week Alstom engineers need to remove 88 or 72 yoke type track roller units and send these to Schaeffler for refurbishment. The units are replaced with newly refurbished units from Schaeffler’s Refurbishment Centre in Schweinfurt, Germany. The double row yoke type track roller comprises of a crowned outer ring, a full complement cylindrical roller set, inner ring, thrust washer, Lamellar ring, Nilos ring and retaining ring. The unit is sealed, greased and protected against corrosion. At Schweinfurt, the refurbishment process involves dismantling the track rollers and 100% visually inspecting all individual components for any signs of wear or damage, which can include fatigue, cracks, corrosion and indentations caused by overrolled particles. All the parts are then cleaned to remove grease, adhesive and dirt. Any defective contact rings are replaced with new ones. Outer and inner bore diameters are checked according to dimensional requirements. The units are then re-assembled, sealed, greased, packaged and returned to Alstom’s warehouse in Preston. The inspection and refurbishment process is to a high specification. Only fully qualified Schaeffler personnel in Schweinfurt are permitted to handle, inspect and repair the bearings. Schaeffler boasts more than 100 years’ experience in the rail industry, with applications including axlebox bearings and housings; bearings and components for traction motors and gearboxes; railcar connectors; tilting technology; and bearings for train doors.